Boat built from plans published in Boys Life Magazine, knockoff of the Alcort Sailfish, the world's most popular sailboat in the early 1960s. 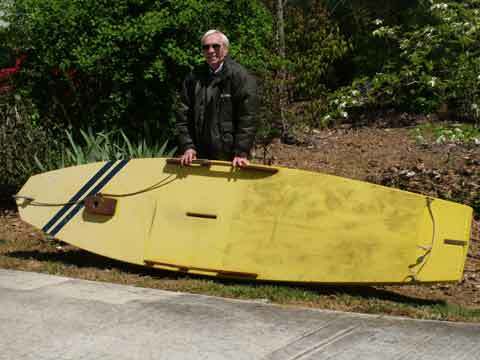 Last overhauled in 1978 by the gentleman in the photograph, who also built it with his father in 1958. 11 1/2 feet long with a beam of 3 feet. 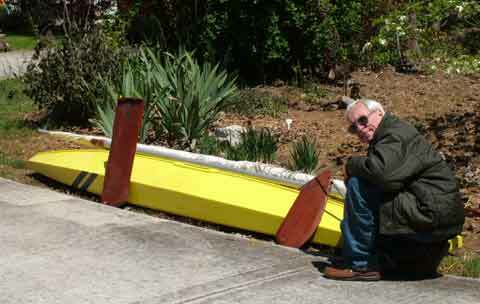 Boat draws, daggerboard up, 4 inches, board down 2 1/2 feet. Construction 6 inch pine sides, 1/2 inch marine plywood deck and bottom. Bow and stern blocks built up oak sections, with external oak keel. Brightwork made of Philippine mahogany. Mast and spars are aluminum tubing with shaped mahogany plugs. 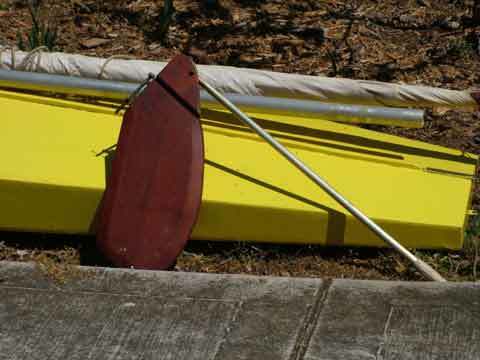 Original sail comes with boat, custom Ratsey & Lapthorn, likely needs replacement. Other than the sail, the condition of entire boat is very good. 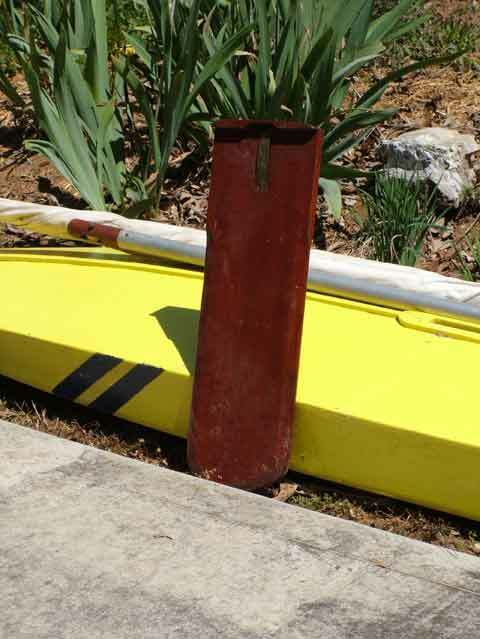 Boat, weighs about 75 pounds, travels easily on most automotive roof rack systems.